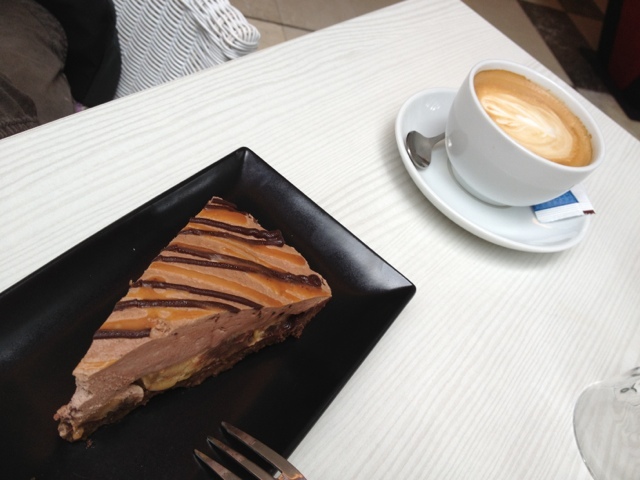 One of the lazy weekends in Publika, we decided to test out Swich, which seems to be popular for its cakes. With so many types to select from, we were a bit lost on which one to order. 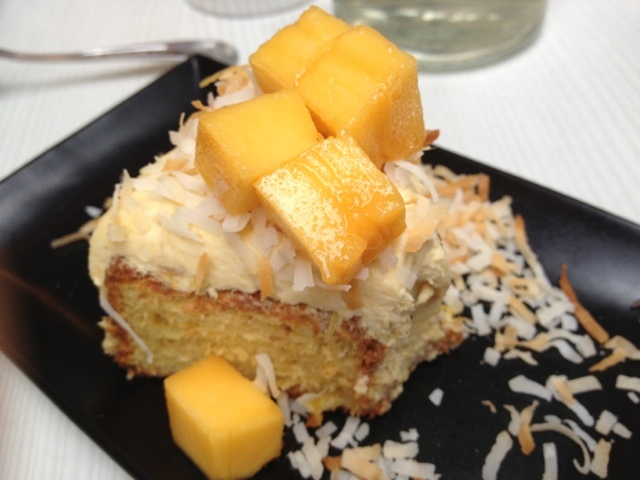 After some discussion with their Filipino waiters, we ended up ordering their Cempedak Tutti Fruitti cake, which comes with mangoes and toasted coconut. While we were there, I inquired what is cempedak -- and no one could explain it to me. Now that I am writing this entry, I did a bit of googling and discovered this is in fact looks a bit like the "langka" (in the Philippines that is what we call it). I am not sure though if it is one and the same. Anyway, this seems to be their award-winning cake. Honestly, my verdict was okay. Maybe because I don't like the fruity flavor in it. 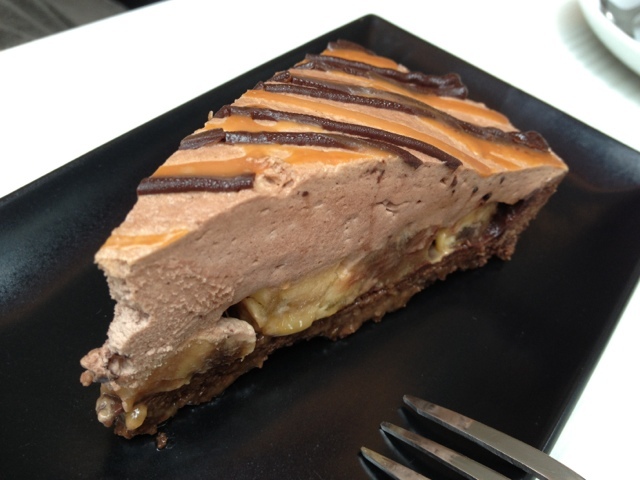 Another cake we tried was something like a banoffee cake -- a mix of chocolate and some bananas. This scored better on our taste, both for me and hubby. He also took a cup of coffee, which was at best average (in our opinion). A nice place to hang out and pass the time away people-watching at Publika. 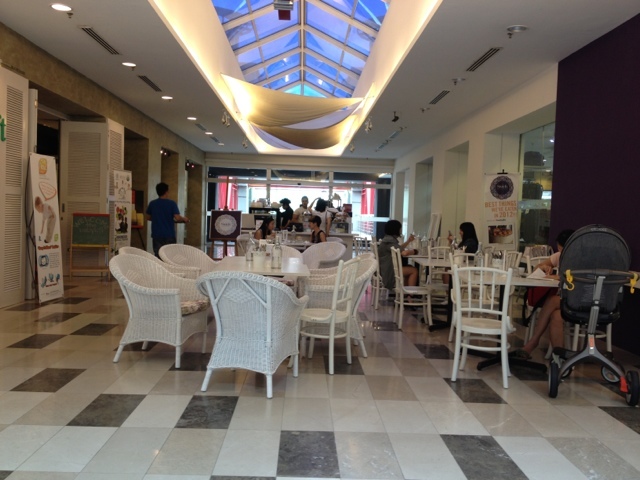 Swich Cafe is located beside Baby Loft, which is one escalator up from the Apple store and Wondermilk shop. It's not exactly a restaurant in itself. It is freely located in the middle of a walkway area, which adds to its casual feel. Would we go back? Maybe. However, I will do a little bit more research before ordering so that I can end up with the heavenly cake that will match our taste. Swich Cafe's famous Cempedak cake. It was nice and different, however it's not something I would order again. We found it on the "dry side", perhaps this is how other people like their cake.